Julie Cummings, Urban Gardener, Inc is a small garden design, installation and maintenance business. My goal is to design and build gardens for people. I studied ornamental horticulture for two years in San Luis Obispo, California, and then received a bachelor's degree of Landscape Architecture from The College of Environmental Science and Forestry at Syracuse University. After college, I worked part-time for twelve years at a high-end design-build company in Manhattan that specializes in rooftop and townhouse gardens. During my tenure I developed skills in all aspects of urban gardening, including an extensive knowledge of plants that thrive in our unique urban conditions. 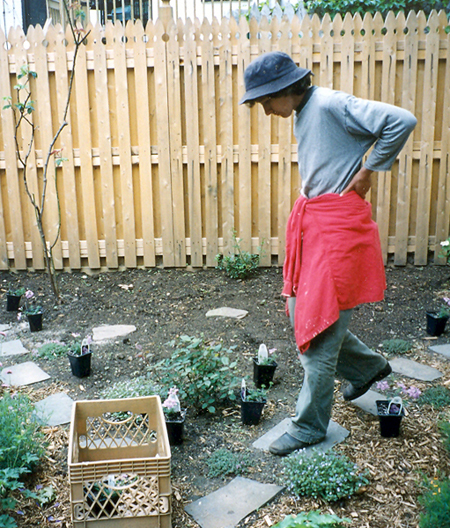 In 2002, I went out on my own and formed Julie Cummings, Urban Gardener, Inc.
New York is a unique place, with many gardening challenges people often do not recognize, such as shade, scale, access to water, privacy, etc. I have many years of experience working in this urban environment, from developing perennial gardens with little hard-scaping to those with an equal balance between paving, structure and planting. I pride myself on being flexible and on offering different approaches to achieve the final product — a garden the client wants and can maintain into the future.